If you're new to my blog. One of my favorite things to do is travel. I love traveling. All aspects of traveling. Even if it's traveling to our neighboring states. 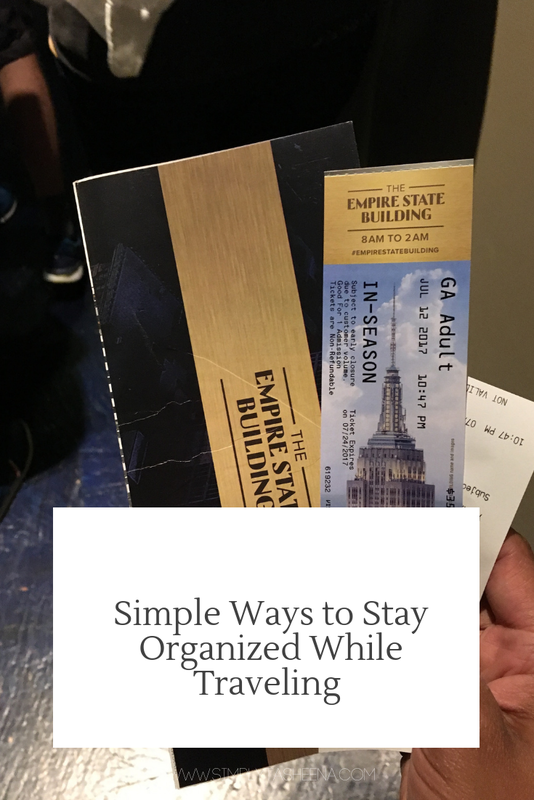 One of the things that I've learned about traveling is how important it is to stay organized. Of course, no one wants to spend their precious moments on vacation looking for stuff when you should be enjoying your travel adventures. I can not stress enough how important it is to plan. This comes from trial and error. Last year while visiting the UK. I had a list of places in which I wanted to visit. One needed a reservation, I literally waited a couple of days prior to returning home to visit this location and it was completely booked. The living life on a whim will not always work. Even if you have an itinerary in mind, a simple check to see how far in advance some places require bookings will save you time and money. Ironically, during this same trip, I wanted to check out local thrift stores. I waited until the last minute to check and see if they had any sale dates. Unfortunately for me. One of the thrift stores had a sale the day in which I was arriving, and the second place was unfortunately closing and had a fill your bag sale. I missed out on both of those sales, a simple social media or on-site search would have been a big help to me with fine tuning your itinerary. If you're not big on creating an itinerary. It's just so important to have an idea of what you might be doing during your travels from, restaurants, to shopping, and sighting seeing. Have a list of places, and know if it's in walking distance or if you have to take some type of transportation to reach the location. When traveling I use space saver bags. They come in handy, and trust me they work! I also travel with Ziploc bags and plastic store bags to house my soiled clothing. During my travels, I've learned to plan out my outfits for the day and try to pack in advance. It's also helpful to create a packing list. I prefer to combine entire outfits, i.e undergarments, accessories, top and bottoms. If it's possible, I try to have each outfit for each day labeled in a Ziploc bag. I also lay my clothes out the items the night before for my flight and every night for each outfit. If I know I'm going to be doing multi-outfit changes. I have each outfit on the hanger the night before and pack the item once I'm done wearing it in my soled bag. If you're traveling with your family or alone. It might be a great idea to invest in a mesh laundry basket to have in a designated area where soiled clothes belong, and all you have to do is place the meg bag in your luggage prior to leaving. Unless social media and emails are part of your job while traveling. I would highly suggest having a designated time that you check emails. First thing in the morning/prior to bed? This will assist you with not having the struggle of returning to "real life" after your adventure. I highly suggest creating a running to-do as well. This list can be helpful for during and after your travels. Do you need to set a reminder on your phone to check into your flight? Do you have to reschedule a meeting once you return home? Do a brain dump, prior, during and after your trip with items that need to be completed. It's so important to have to stay on track with your routines. However, maybe it's a great idea to create a routine for just your travels. Do you plan on taking a long walk on the beach or going hiking each day? Do you plan on watching the sunset each night while enjoying a cocktail? Create a routine that works for you and your lifestyle to stay organized during your trip. One of the worse things in the world is not knowing what you did with important documentation during your travels. I screenshot all of my itinerary and reservation information. Yes, in a perfect world your wifi would be working perfectly. However, while traveling let's consider worse case scenarios. Looking for a piece of paper that houses your reservation information or misplacing your phone that has all of the reservation information can very well happen. Try to keep important documents in multiple locations. Like copies of your passport and ID, Hotel/ rental car information, and even your flight information. Do you have any travel organization tips? I always plan out our trips before we go. I have times, addresses, phone numbers, confirmation numbers, etc all on one sheet to make it easier. I don't do much traveling but my sister does for work so I will share these tips with her. As well as my family who travels. I take photos of all my important papers. They may not take them as originals, but the numbers and info is all there and easy to access. I am pretty much OCD about staying organized when we travel. If we travel overseas a check four or five times that I have my passport I will have a place for everything so I don't lose anything. 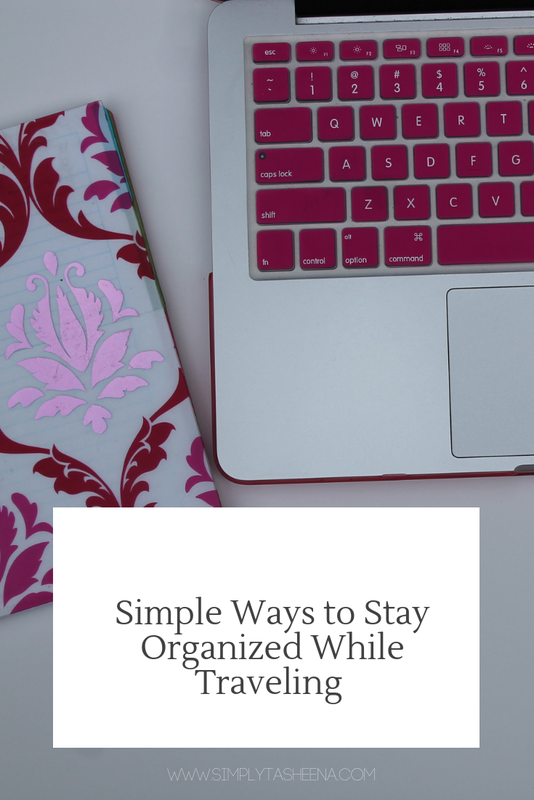 You have a lot of good tips here about staying organized. I bring bags for dirty clothing as well. I try to teach these tips to my children when they travel LOL but their belongings are always all over the place! I need to try the space saver bags next time I travel. I'm pretty organized but I need to save some space when packing. I am perhaps the most unorganised person when it comes to anything! These sound like some simple and easy ways to help me stay organised I like the idea of having a designated time to check emails and do things online when away. That is genius when you say you screen shot everything. I will do this too from now on. There are times like you said when the wifi is down and I have to scramble to access docs. My job is social media but I make it a point not o check anything until bedtime when the day is done, if that. I like to unplug while traveling. It's so important to be prepared for travel, and it's nice to be ready so that you don't have to deal with problems along the way. For me, having the necessary documents, budget and itinerary is the top most when travelling. Of course adding up the phone and internet data. I love the tip of saving all the important documents in my phone. I do also screenshot everything that it is important for our travel! It is easier to find and you know that you can't lose them! I love all your tips. I can't travel without an itinerary especially if with kids. It's really important to plan and be organized so you will be able to maximize your time and prevent additional expenses. 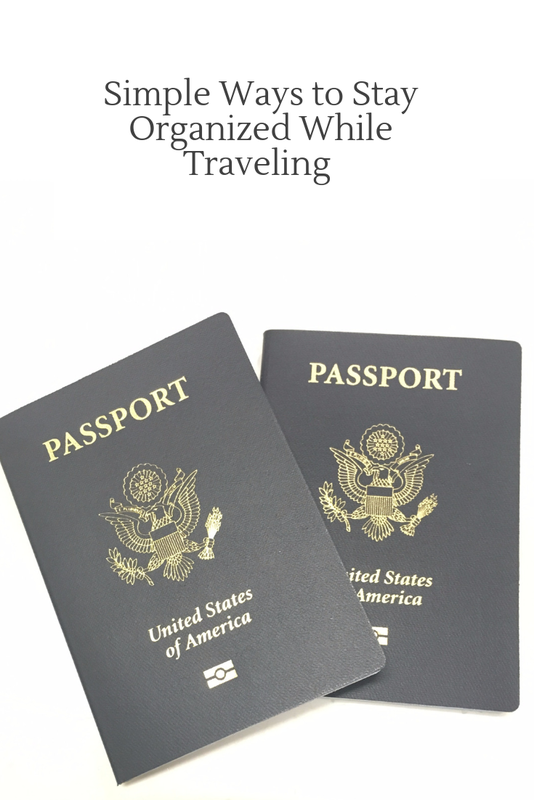 Yes, staying organized while traveling is so important. You've got great tips here. Wonderful suggestions! Many a trip would have been enjoyed more with this list. Gracias for putting it all in one place. Thanks for these tips! I prepare ahead before traveling, not so organize tho. But I like following my planned itinerary and not make last minute changes.